The Ayurveda Home Study Course, by Dr. Robert Svoboda, BAMS, is a 12 week, non-credit introductory course on Ayurveda and begins on the first of every month starting JuneÂ 1. 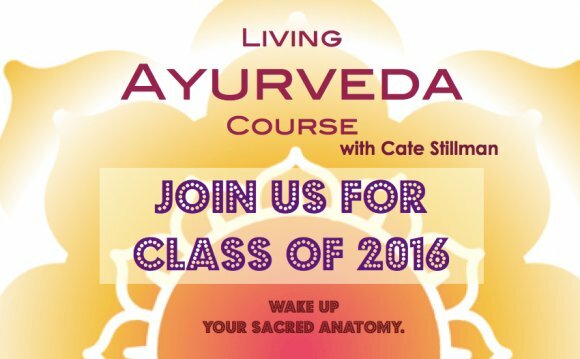 This at-home study course is a complement to Vasant Ladâs book, Ayurveda, the Science of Self-Healing. The course covers basic Ayurvedic principles and philosophy and introduces a new way of thinking about health and disease. The Ayurveda Home Study Course, by Dr. Robert Svoboda, BAMS, is a companion to Vasant Lad’s book, Ayurveda, the Science of Self-Healing, which may be ordered separately. It is an introduction not only to Ayurvedic principles and philosophy but also to a new way of thinking about health and disease. The book, Lessons and Lectures on Ayurveda by Robert E. Svoboda, BAMS, consists of twelve individual lessons covering the fundamental principles and practical application of Ayurveda. Study materials with the course include almost 3 hours of audio lecture series by Dr. Svoboda, a copy of his book, The Hidden Secret of Ayurveda, and a recorded pronunciation guide of Sanskrit terms. Robert E. Svoboda is the first Westerner ever to graduate from a college of Ayurveda and be licensed to practice Ayurveda in India. During and after his formal Ayurvedic training his mentor, the Aghori Vimalananda, tutored him in Ayurveda, Yoga, Jyotish, Tantra and other forms of classical Indian lore. After moving to India in 1973, he lived there for more than a decade. Since 1985 he has continued to spend many months of each year there and in other lands. The author of a dozen books, he serves as Adjunct Faculty for the Ayurvedic Institute in Albuquerque and for Bastyr University in Seattle.For more information about Dr. Svoboda, visit his website. You receive the books Lessons and Lectures on Ayurveda and The Hidden Secret of Ayurveda. The recorded audio files for the course are accessible through our online education interface. Ideal for those who want regular interaction and value a set structure, this option offers online forum discussions with your classmates, a weekly quiz, and a final exam. This course starts at the beginning of each month. Fill out your and start next month! You receive the books Lessons and Lectures on Ayurveda and The Hidden Secret of Ayurveda as well as a set of CDs with Dr Svoboda’s lectures and pronunciation guide. Ideal for those with limited online access or travelers who want to take their studies with them, this by-mail course is conducted like correspondence courses in the past, where you mail in or email your exam questions vs. doing all your work online. A written examination is required after each section of the three-section course. Click here to order this course today!